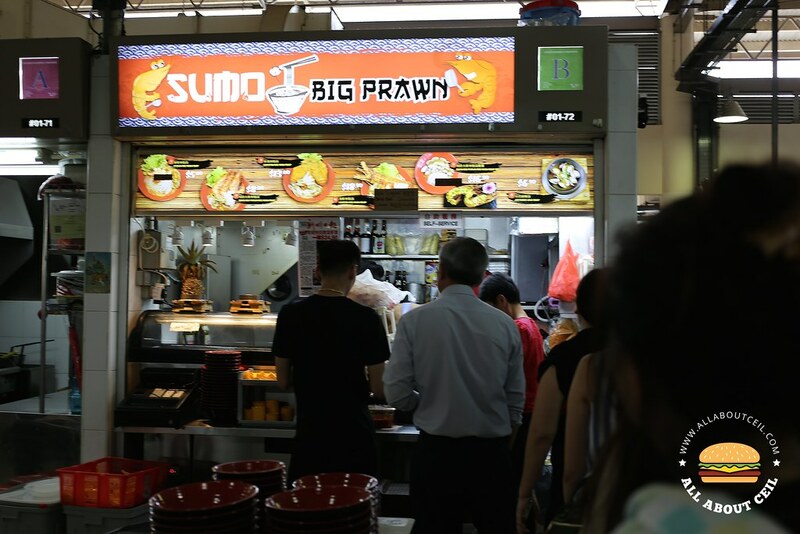 This stall has been the talk of the town after a stall owner of a relatively famous prawn noodle shared it on her facebook. Some food bloggers went to try, they recommended and shared it on the social media. And then, the queue started to form and the waiting time is getting longer to about 45 minutes or even longer. Desmond is running the stall with his wife and his partner, his mother is there to help out at times. 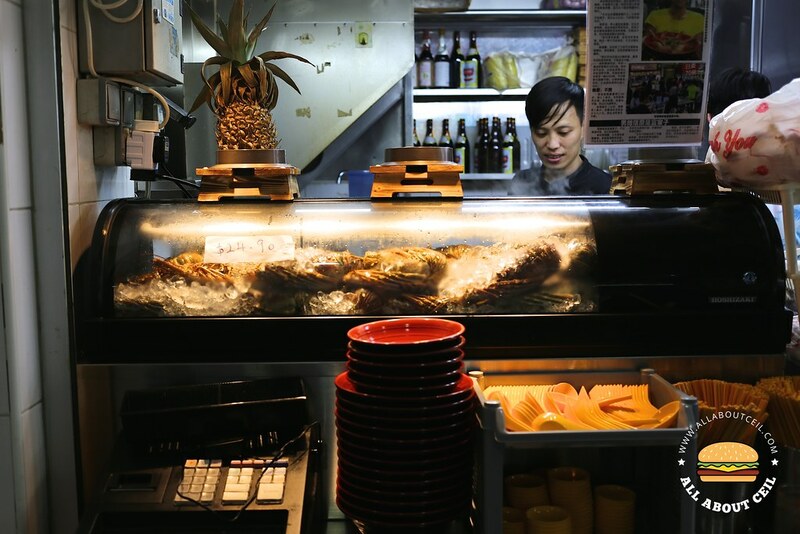 He used to be helping his father running a hawker stall in the food centre for a while prior to starting this stall. The stall started in early September and it was really quiet during their first month, it was even so during the lunch and dinner. 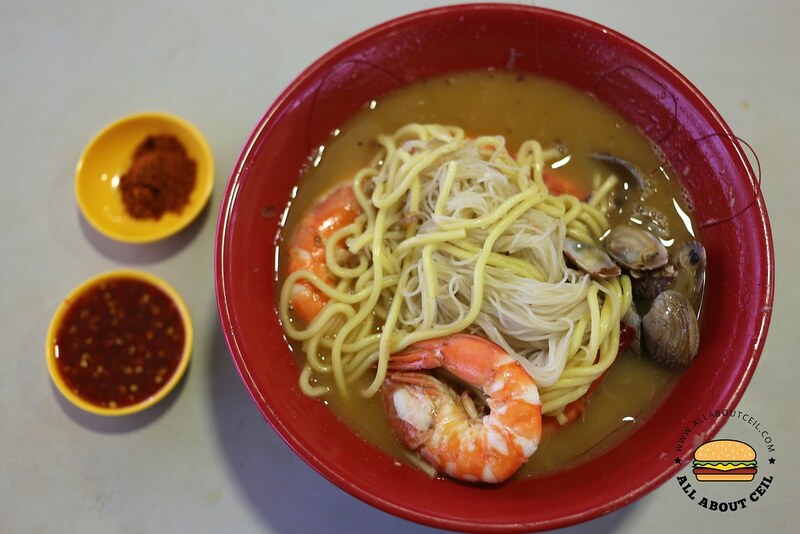 The cheapest item on their menu is Prawn Bee Hoon Soup for $5 but it is usually sold out by noon or earlier. 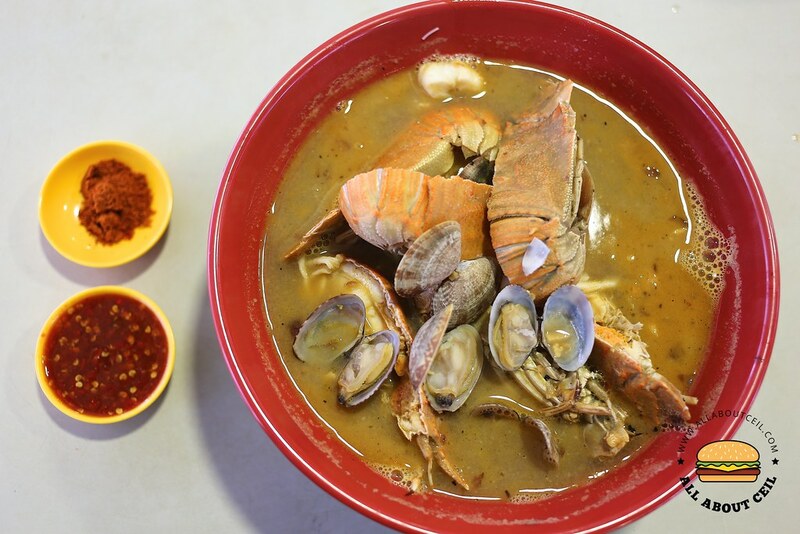 This followed by the Sumo Big Prawn Bee Hoon Soup at $8 then the Crayfish Bee Hoon Soup at $13 and the Lobster Bee Hoon Soup is priced at $18.90 using the Asia lobsters, it will be replaced by the Columbia lobsters whenever it is out of stock and it will be at $24.90. 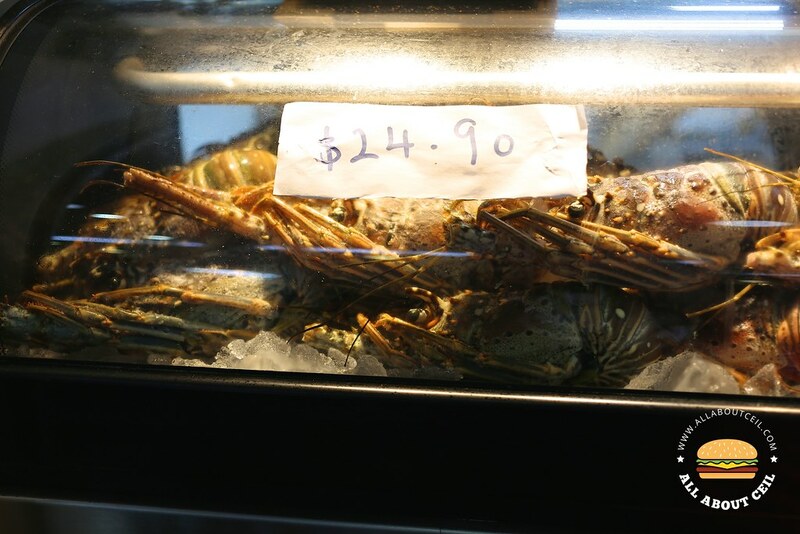 These lobsters are not fresh but frozen lobsters and they are also using frozen cooked white clam, they are freshly cooked though. Their prawns are supposedly sourced from a fishmonger in the wet market at the food centre. I was there near 5 pm, just right after their lunch break. The queue was not too long at that time but they were quite slow and it somehow jammed up the queue. I waited for about 25 minutes to order and another 10 minutes to receive it. 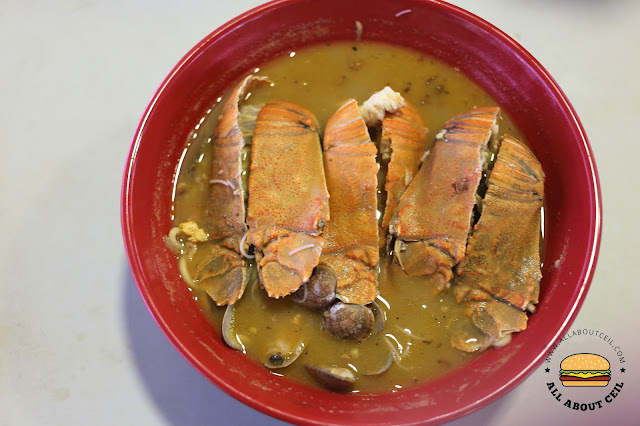 Though some customers in front of me have ordered the Lobster Bee Hoon Soup but i decided to just have it with crayfish, this was so after reading some negative reviews that it was often overcooked and its texture was tough and bland. 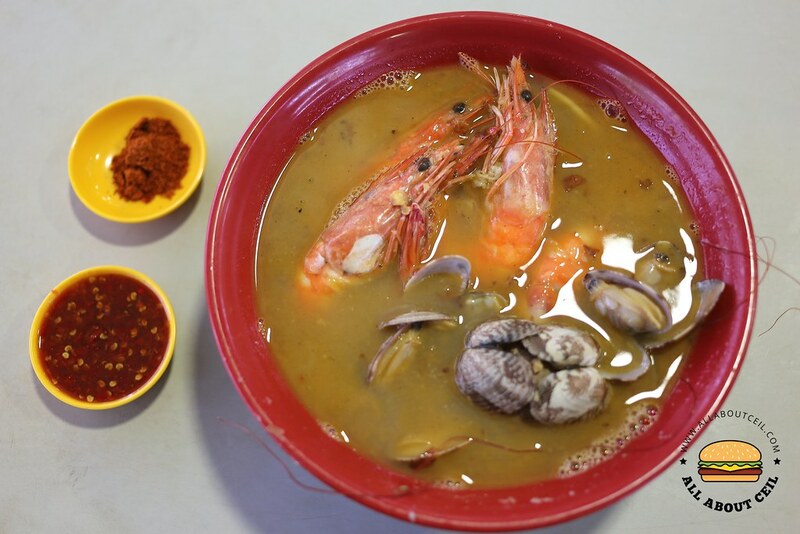 I have also ordered the Sumo Big Prawn Bee Hoon Soup. 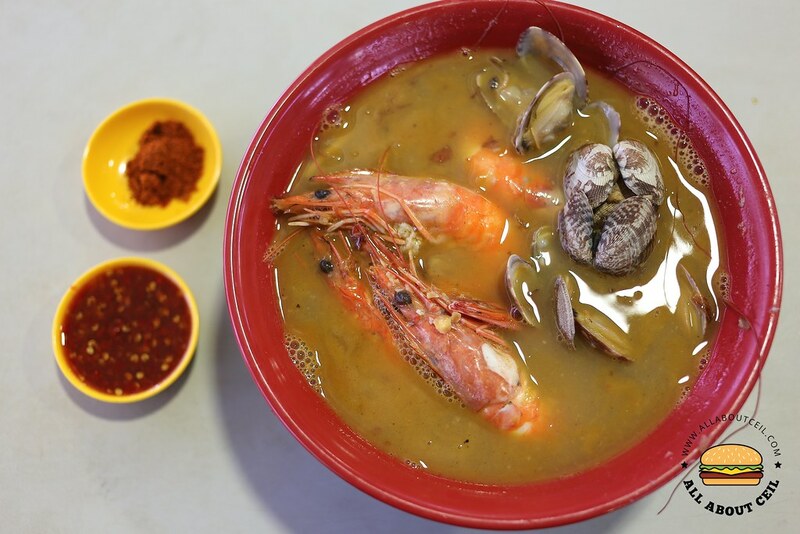 I tried the Sumo Prawn Bee Hoon Soup first, it consists of 4 pieces of big prawns with quite a handful of clams. I was expecting it to be better but the broth was a little diluted with an artificial sweetness and a little greasy. I was told that they are also using margarine as a cheaper alternative rather than the butter to flavor the broth. The prawns were relatively fresh and quite big though, they even made an effort to remove part of the shell so much easier to eat. They managed to cook those white clams to the right texture. 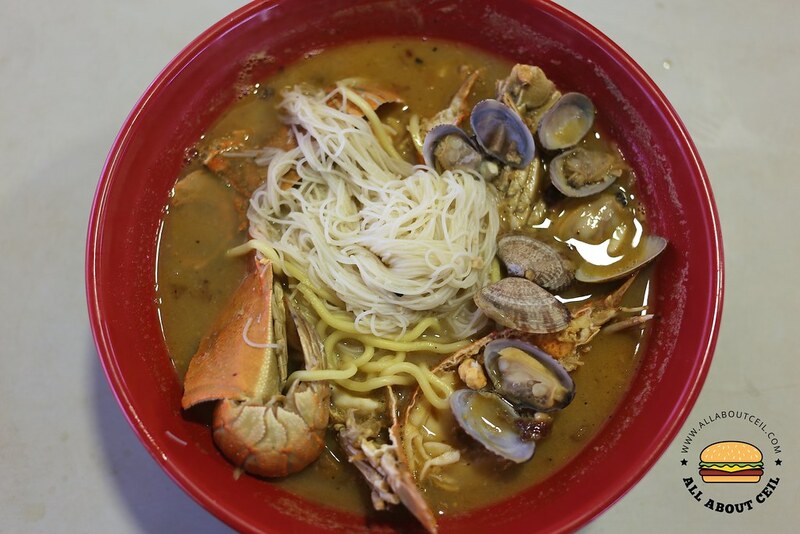 The Crayfish Bee Hoon Soup came with 3 pieces of crayfish that have been chopped into halves and serving together with the clams. 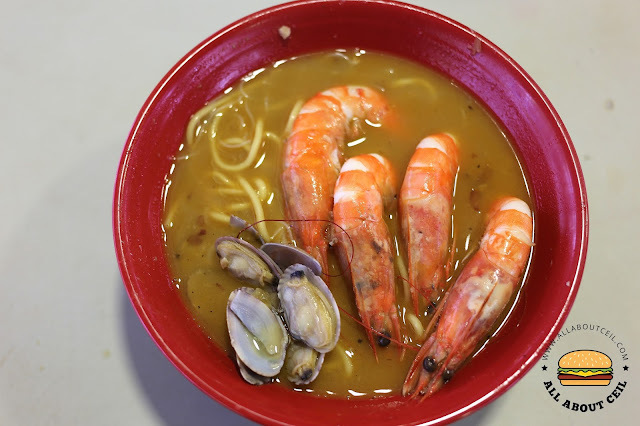 The broth tasted better with more flavor as compared to the Sumo Big Prawn Bee Hoon Soup but it was equally greasy with a slight hint of garlic. Those crayfishes were cooked just right. 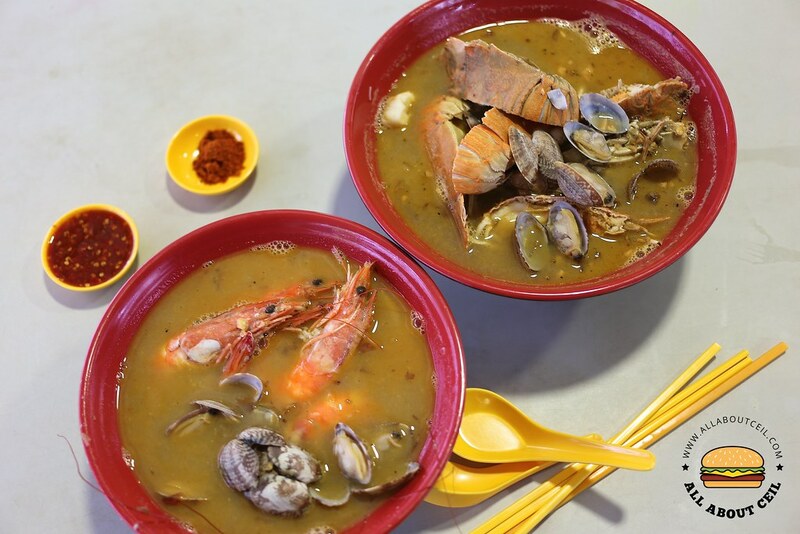 If i am to compare the values, the Crayfish Bee Hoon Soup is definitely of a better value as compared to the Lobster Bee Hoon Soup but the Sumo Big Prawn Bee Hoon Soup is more worth it as it is served with 4 pieces of relatively fresh big prawns at just $8. As usual, I love your no-nonsense, concise review. But it's not clear why you said it's not recommended. Is it because of the ingredients (margarine and frozen seafood) or is it because of the pricing or is it because it doesn't taste good? I'd love to know because I'm thinking of travelling there. But after reading your review, I'm having second thoughts.